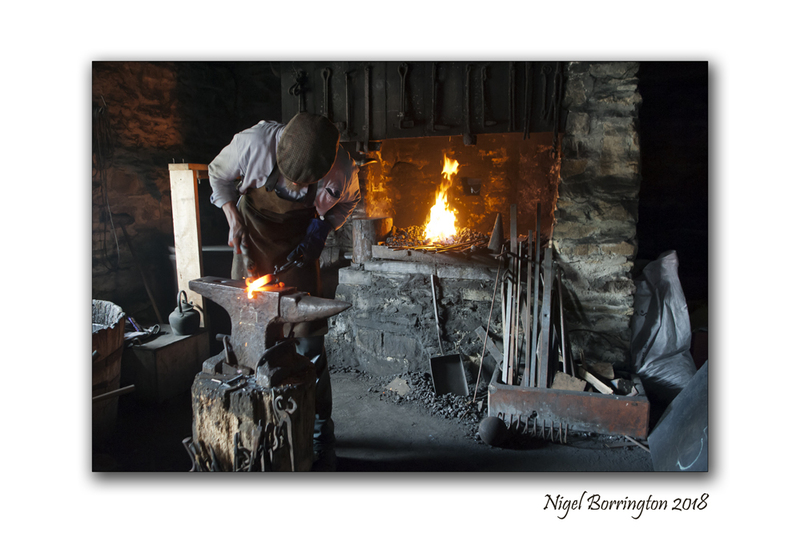 Last week while visiting Muckross Traditional Farm, I was lucky enough to meet and chat with Tom Allison, he is an experienced professional and you can tell that he has a passion for blacksmithing. With his easy-going way of showing you how he works and creates some amazing items. Tom studied blacksmithing at Hereford College in 1997 and continued his training with an apprenticeship in Wales for 2 years. 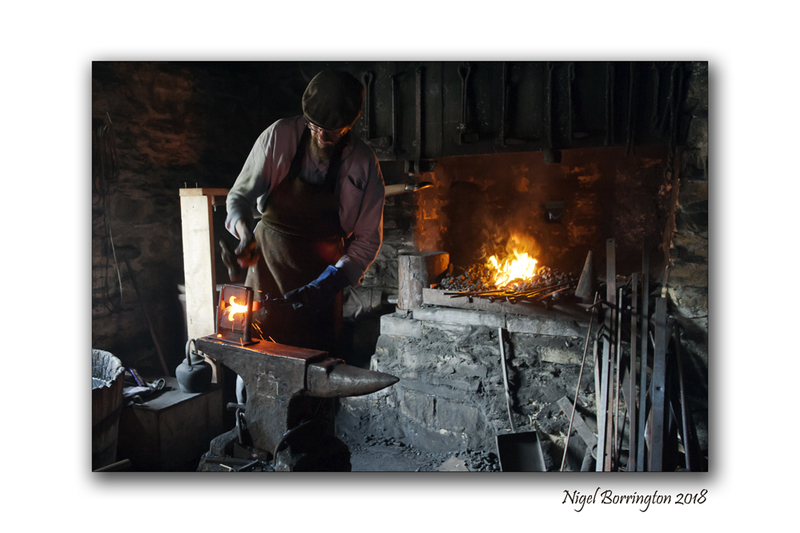 Tom moved to Sneem in 2000 to set up his own forge and since then has completed a number of major commissions. 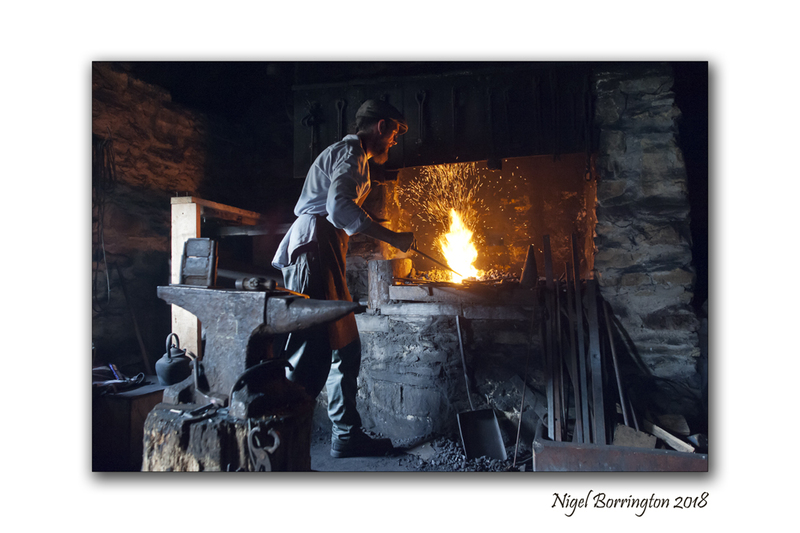 I spend a good amount of time watching Tom work in the old forge at Muckross Traditional Farm while he demonstrated the old skills of blacksmithing. His work ranges from contemporary art and designs to traditional historical reproduction and restoration. This entry was posted on June 25, 2018 by nigel borrington. It was filed under Art and craft work, art work, Down on the farm, Gallery, nowness and was tagged with blacksmiths, county kerry, Craft and design, Craftsmen in pictures, Ireland, killarney national park, Muckross, Nigel Borrington, Tom Allison, Traditional crafts. These are extraordinarily effective studies, even without the presence of horses! The photos look like how I would have pictured the hero of Leon Uris’s novel “Trinity”. Don’t know if you’re familiar with it, but it’s a long, exquisitely detailed read of historical fiction about the Irish Catholic fight for freedom.